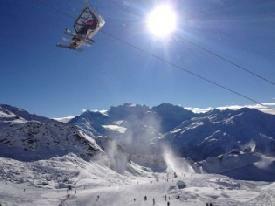 With a total of 88 skilifts and 410 km of groomed pistes, Verbier is part of the big 4 Valley ski area. Verbier is located at 1500 meters and the highest skiable slope is at 3300 meters. 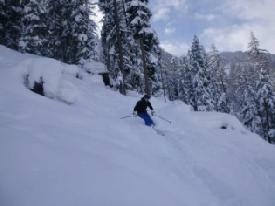 Verbier is also renowned for its off piste and itenarary runs. 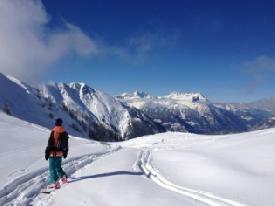 Explore the area with a ski instructor or mountain guide and get the most out of your ski holiday. We will hapilly arrange ski rental, ski lessons, off piste guiding or anything elso that will enable you to have a great day out on the slopes. 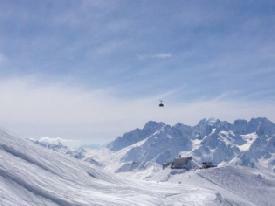 Bruson is a small local ski area and part of the Verbier ski area so your skipass is also valid here. It’s a great area for off piste tree skiing and is easy to get to from Le Chable and also connects with the Verbier ski area.